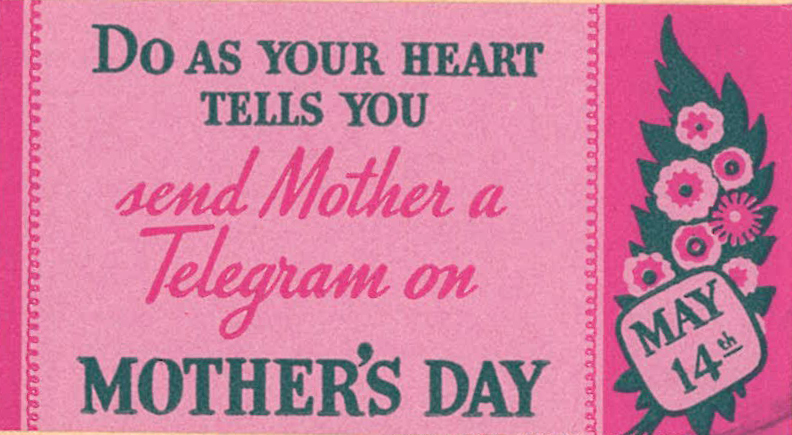 Mother’s Day (14 May1933) ad on telegram, 1933, Chinese Exclusion Act case files, RG 85, National Archives-Seattle, Louie Kin Hong file, Seattle, Box 960, Case 2301.
Who remembers telegrams? They were frequently used to communicate in 1933. This ad was on the telegram included in Louie Kin Hong’s file.